She turned to SFARO Architects with her dilemma. And the architects came up with an inspired design solution that had never occurred to her. At first she was stunned by the unusual concept, and took a few days to think about it before agreeing to the suggestion. 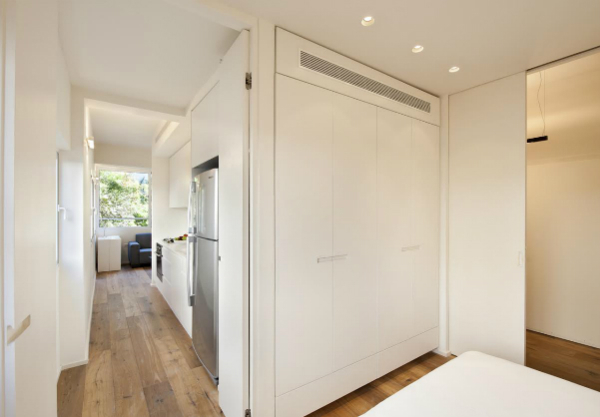 Their ingenious idea transformed the studio apartment into a one bedroom flat with a spacious feel that included a full size queen bedroom, a large separate kitchen and plenty of extra storage space. All this without physically extending the apartment in size. 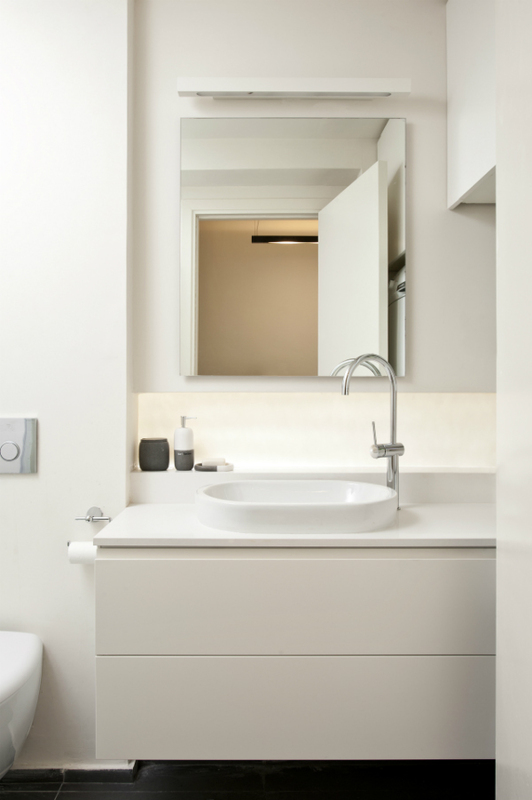 The answer was to reconfigure the interior and integrate all the main functions and storage units required into an elongated box in the centre of the apartment. A multi-layered living space, it’s a perfect example of broken-plan living. 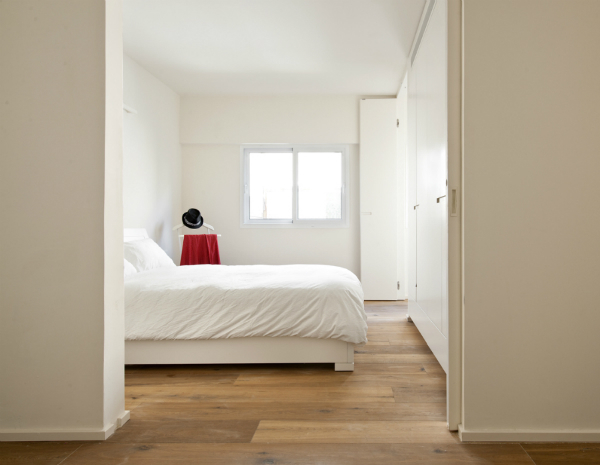 The box divides the apartment into four zones with a 360 degree circulation around it. This frees up floor space and creates a flow that makes it appear far bigger than its actual size. The ways in which you can explore the space seem almost endless. Although it only has two facades, the design allows for the light travel throughout the apartment, which also adds to the perception of size. 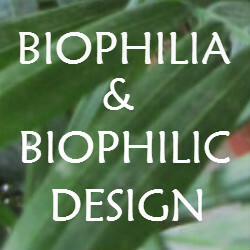 But the most remarkable feature is the way in which it segregates the different functions. And the addition of sliding doors which disappear into the cube when not in use means the space can be altered to provide privacy or a sense of space according to requirements. 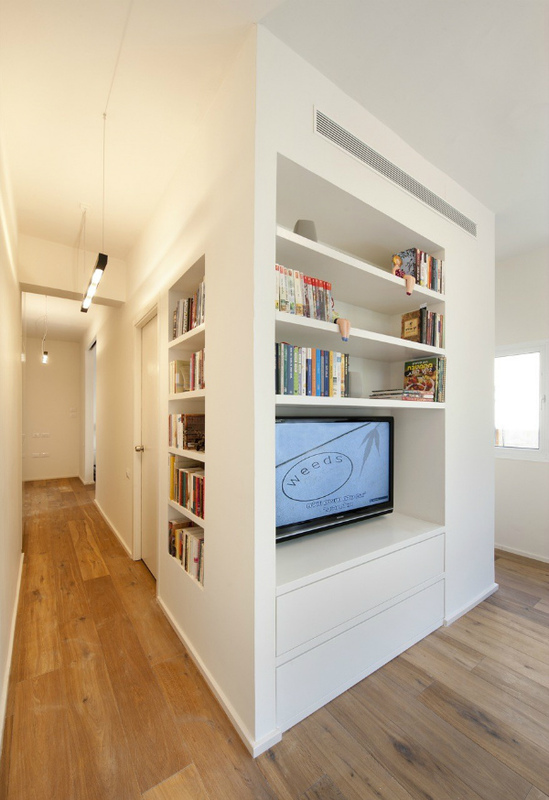 At the far end of the apartment is the living room and housed with TV, bookshelves and drawers. To the right is a large kitchen with an abundance of storage cupboards that are taken up to the ceiling. Enclosed within the box itself is a spacious bathroom that also contains the washing machine. Opposite the living room is a comfortably sized bedroom with built-in cupboards that appear to float above the floor, adding to the airy effect. 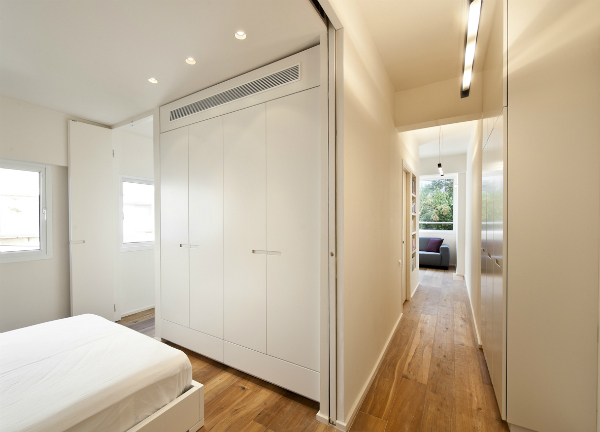 The sliding doors can be used to close off the bedroom from the rest of the flat for privacy, or left open to create access from either side. Along the wall of the corridor leading out from the bedroom is another bank of built-in floor to ceiling cupboards. 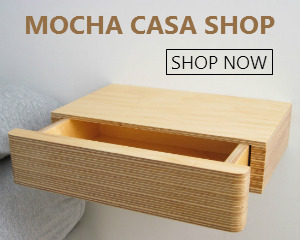 This provides ample storage, and enables the uncluttered, minimalist appearance of the home. A palette of white walls and warm hardwood floors throughout adds to the flow of the space and lends the flat a Scandinavian feel. 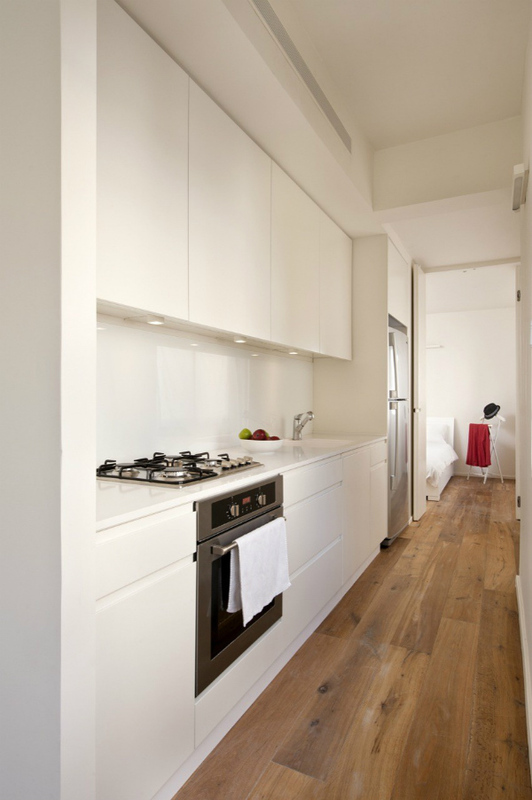 Instead of handles, the cupboard doors have hollowed recesses which adds to the streamlined effect. 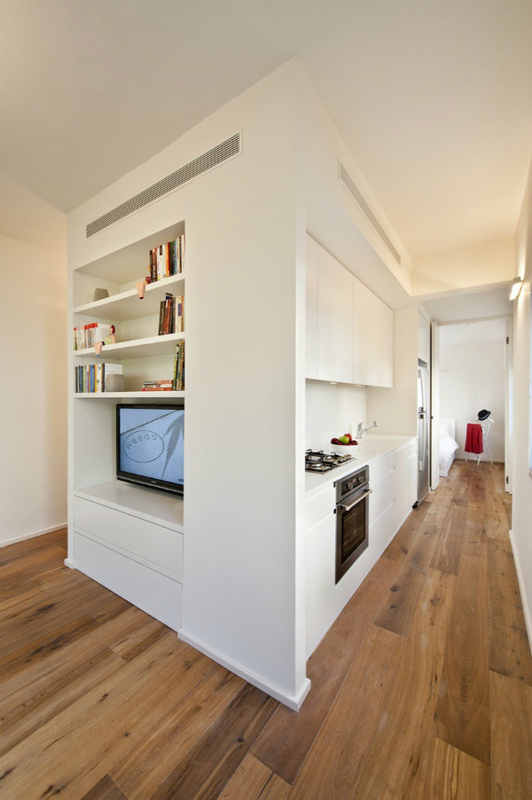 The result is an apartment transformed from small to spacious. A broken plan living space that offers flexibility, interest and privacy, and maximises every part of the home.